Help Save the Internet with 'Sugar Rush' eBay Auction! Home Uncategorized Help Save the Internet with ‘Sugar Rush’ eBay Auction! Help Save the Internet with ‘Sugar Rush’ eBay Auction! 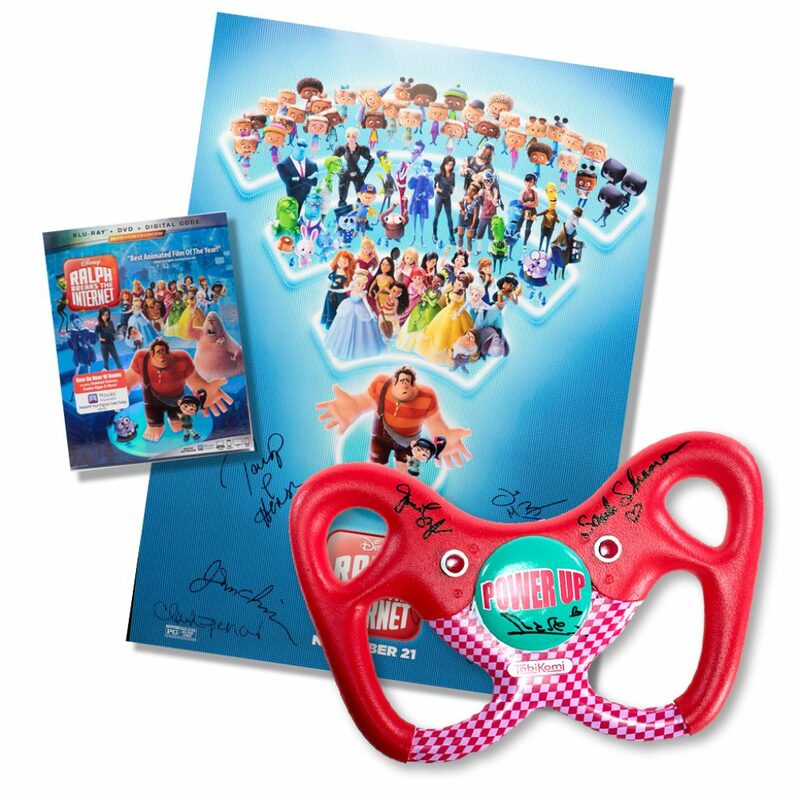 Calling all Sugar Rush fans…now is your chance to race home with a signed, limited edition replica of the “Sugar Rush” steering wheel featured in the film! If you remember the steering wheel is at the very core of Walt Disney Animation Studio’s Ralph Breaks the Internet as Ralph and best friend Vanellope von Schweetz attempt to save her game, Sugar Rush. Their quest takes them to the vast, uncharted world of the internet where they rely on the citizens of the internet – the Netizens – to help navigate their way to eBay to find a replacement steering wheel. Timed to the in-home release of the film, this IRL replica of the steering wheel has been donated by Walt Disney Animation Studios so that 100% of the proceeds from this auction item can be donated to Make-A-Wish® to help grant life-changing wishes to children with critical illnesses. Disney and Make-A-Wish® have a long-standing history together. Since 1980, Disney has helped Make-A-Wish grant more than 130,000 wishes — experiences that not only brighten lives for a special moment, but also help wish kids and their families replace fear with confidence, sadness with joy, and anxiety with hope. Currently, more than 10,000 Disney wishes are granted every year, a number that continues to grow. The steering wheel itself has been autographed by Sarah Silverman, Gal Gadot and Jane Lynch. Winning bidder will also receive a limited-edition autographed poster by cast and filmmakers including John C. Reilly, Sarah Silverman, Taraji P. Henson, Jack McBrayer, Phil Johnston, Rich Moore and Clark Spencer as well as a Blu-ray copy of the movie!